Since 2013, CWAC representatives have presented 17 different workshops and panels at the NCWCA annual conference. From personality tests to mission statements, these presentations cover anything and everything to do with writing center work. How do writing centers inadvertently reflect the social construct of gender bias in language, and how can activists and educators inspire collaboration and change? We workshopped scenarios in the hopes of advancing the cause of grammatical dignity. It's hard to be creative under pressure, and yet stress is the invisible companion of so many writers. What to do? We shared and brainstormed ways to incorporate mindfulness into our centers. We also took a break from the headiness of the conference to enjoy a brief mediation ourselves. Creativity is a valuable tool for professional and personal development yet maintaining a creative outlook under pressure can be challenging. In our lightening talk, we examined how interdisciplinary dialogue and collaboration can promote both creativity and productivity within a writing center. We advocated for more creative branding of writing centers in order to create a stronger campus presence--increasing staff bonding and attracting more writers. During our workshop, we explored the effectiveness of branding and discussed how each center could develop or sharpen their "brand." We discussed the process of integrating safe space pedagogy into writing centers and classrooms so dialogue can be more comfortable and productive. We did this by raising questions and suggesting some practical solutions based on primary and secondary research. View the Prezi here. When writing outside of their discipline, many students stifle their own creative voices in order to meet specific writing guidelines. We explored how facilitated writing workshops and interdisciplinary dialogue can enable students to be both the architects and constructors of their own writing despite strict building codes. View the Prezi here. Where does collaboration end and plagiarism begin? Are ideas that are discovered during sessions partially the intellectual property of the adviser? Presenters shared data from interviews of advisers, students, and Academic Honor Council members on their views of collaborative writing. Participants workshoped ambiguous scenarios during writing sessions. View their presentation here. Using our partnership with a local high school as a model, we propose an ecological approach to writing center work: one that recognizes the center within a dynamic network. We discuss using a needs assessment as a step toward a broader understanding of the “sites of writing”centers can serve. View the Prezi here. Like the Muses of Greek Mythology, Advisers could serve as mediators between faculty and students. 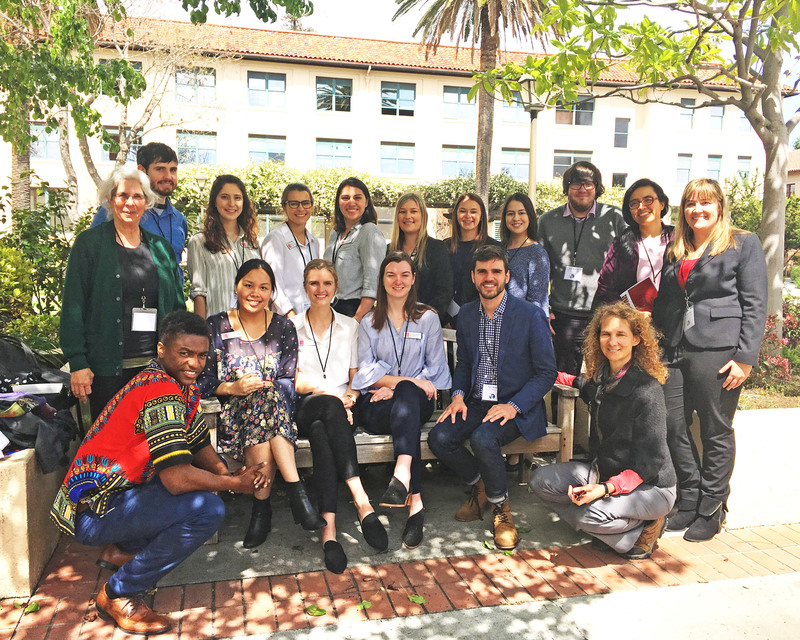 We share how we co-facilitated our center’s Interdisciplinary Faculty Assignment Design Roundtable and then surveyed Professors and students for reactions to sample prompts. Participants will engage in discussion and interact with Muses as mortals. View the Prezi here. For writers with learning styles outside the norm, advisers must adapt the standard approach. After conducting a student survey to better understand these students’ needs, we hope to equip advisers with tips and tricks that, rather than focus on correcting students’ weaknesses, help advisers draw out existing strengths. View the Prezi here. In this hands-on workshop, the NCWCA Newsletter editorial team will facilitate Writing Circles, demonstrating an innovative method for facilitated peer review. If possible, participants should bring 3 copies of anything they would like to workshop, including conference presentations or other writing they would like to turn into Newsletter articles. Download the PDF of the presentation here. What might a writing adviser struggle with during a minimalist session? Through discussion, interactive partner activities, and reflection, we will use Finding Nemo’s cast of characters to discuss the difference between minimalist and directive advising and how we can struggle against taking on the role of “experts” during particular scenarios. Click here to view the Prezi. As writing advisers serving a diverse campus community, we believe our Center functions most effectively as a safe space. This presentation will identify and explore the relationships between social identities and perceived safe and unsafe spaces, with emphasis on the roles assumed by writing advisers in implementing them. Click here to view the Prezi, and click here for a detailed reflection on the advisers' research. Sailing through brainstorming sessions can be difficult because writing advisers cannot use conventional strategies to assist writers to choose a focus for their paper. This workshop will incorporate improvised performances of typical brainstorm sessions. Participants will experiment with vernacular language and conversation to help writing advisers navigate through brainstorms. Click here to view the Prezi. Leadership can imply hierarchy—there are leaders and there are followers. But that ignores the inherent wisdom and opportunity of peer-centered work. How can we foster true collaborative community, with the invisible leadership espoused by Lao-tzu, while satisfying the practical needs of administrative leadership and training? Click here for a pdf of the PowerPoint. A Jedi master never pretends to know how her young “padawan” will fulfill the destiny. In the same way, a minimalist adviser offers questions and perspectives, never stealing control of the disciplinary subject or the expression. After discussing, participants were invited to role-play a Jedi Master or Sith Lord. Click here to view the Prezi. Saint Mary's writing center was failing to attract many students or meet community needs. Using a service-learning model, the center reevaluated its purpose and made practical changes, increasing usage and overall success. We presented this case study and guided participants to analyze how their centers align with their campus missions. Click here to view the Prezi. Lamenting some students' disempowering habits, we created small-group workshops to steer them out of solitary struggle and into a place where they would re-authorize themselves. During this panel, we discussed grounding theories of collaboration and knowledge transfer and invited participants into Writing Circles to brainstorm collaborative pedagogies for their student populations. Click here to view the Prezi. This panel explored creativity and collaboration a la the Burkean Parlor. We discussed how to use art to create a conversation in order to topple the walls of perceived authority and promote student success. Participants cocreated a whiteboard to represent the group’s collective identity. Click here to view the Prezi.